This November, hundreds will compete in a StarCraft II tournament run by the folks at Major League Gaming. The total prize pool will be $76,000, and the winner will walk away with a cool $25,000. Not bad for a weekend of playing video games. But some say that's just not big enough. And if you believe some popular players in the world of competitive gaming, it's a sign that we're starting to see the death of StarCraft as an electronic sport. The rise of Blizzard's real-time strategy game has been well documented; since its release in 1998, StarCraft has turned into a pop-culture sensation, particularly in South Korea, where the biggest players can pull in six-figure salaries through endorsements alone. In the decade following the release of StarCraft and its expansion, Brood War, the game brought in gigantic crowds. Tens of thousands gathered to watch big StarCraft tournaments, and hundreds of thousands more watched on TV or the web. Then, in 2010, Blizzard released StarCraft II: Wings of Liberty, the much-anticipated sequel to their 12-year-old RTS. SC2 was a great game, everyone said. It earned a 93% on Metacritic. It sold three million copies in a month. Both fans and pros were psyched. But some say they're disappointed with the community's lack of growth. They expected StarCraft to be bigger by now. In a long Reddit post that has been floating around the StarCraft community for the last week or so, popular competitive player Destiny proclaimed that the game will die out within the next couple years "if Blizzard doesn't change its course." "Why does it feel like growth has stagnated in StarCraft II?" "There's really not much to argue about here," Destiny wrote. "StarCraft: Brood War was enormous. Brood War was an undeniable stepping stone in order to get to where we are today. So why does it feel like growth has stagnated in StarCraft II? "People expected StarCraft II to only build upon Brood War and explode in popularity over the 2010-2012 seasons... But that growth never came." Destiny, a controversial player who has parted ways with several StarCraft teams over the past year, went on to point out that electronic sports (eSports) like League of Legends and Dota 2 are pushing out SC2, particularly in South Korea, where other games have found popularity in PC gaming centers (called PC Bangs). StarCraft add-on Brood War is still big in the East, but StarCraft II is not. And while prize pools for League of Legends and Dota 2 tournaments continue to surge, StarCraft II remains static, Destiny wrote. Competitive StarCraft players watch other eSports and salivate, wishing they had a piece of the multi-million dollar tournaments thrown by companies like Riot and Valve. Just a couple of weeks ago, for example, a League of Legends squad went home with a million bucks. "There are no million dollar Starcraft 2 tournaments," Destiny wrote. Destiny concluded that StarCraft needs to reach a wider audience in order to survive. He offered up some suggestions for Blizzard—more achievements, name changing, maybe some sort of progression system—and said StarCraft II needs to broaden its demographics. "Blizzard HAS to make some kind of serious attempt to appeal to the casual player and to bolster interest and support from the casual gamer," he wrote. "The ball's in your court, Blizzard." "Blizzard HAS to make some kind of serious attempt to appeal to the casual player and to bolster interest and support from the casual gamer." Yesterday, Blizzard took a swing at that ball, announcing that with the upcoming expansion pack Heart of the Swarm, all StarCraft II players will be able to gain experience and level up on their accounts. As you level up, you'll be able to buy portraits and decals to show off to all of your StarCraft friends. It's all cosmetic, but it could be the solution to at least one of Destiny's issues: "There is no reason to play more than a few online games of Starcraft 2 before putting it down and being done with it," he wrote last week. This sort of progression system could help fix that. But will a move like this be enough to keep StarCraft alive? Does StarCraft need to do more in order to keep up with its eSports competition? How the hell can StarCraft compete with the exploding popularity of games like League of Legends and Dota 2—games that, ironically, are based on a fan-made customized map from the original StarCraft? If you ask Blizzard, questions like this are flawed in the first place. "The answer to the question posed in the Reddit thread is no, we don't agree with that premise at all," StarCraft II production director Chris Sigaty told me in an e-mailed statement last night. "eSports is not a zero-sum game where if one thing does well, that means others must be doing poorly. StarCraft is a very unique game with a unique audience. League of Legends is a very different game with a different audience. Call of Duty, Street Fighter, and Halo are also different competitive games with different audiences. The NFL, MLB, and NBA manage to coexist and flourish serving different audiences that have some overlap. They each work as hard as they can to best serve their sport and their audiences. That analogy applies to the various franchises within the eSports ecosystem." Sigaty went on to talk about some major eSports events in the near future, including MLG and the IGN Pro League this November—"StarCraft II remains a staple and premier viewing attraction at all these events," he said—and the Battle.net World Championship in China, which will hand out $250,000 in prizes when it starts next month. "The event has been very successful in helping to spotlight local talent and identify new stars, as well as giving longtime favorites a chance to shine," Sigaty said. "And we think it's worth noting that we are trying to find ways to support the entire eSports ecosystem rather than award a select few of the top players/personalities." What makes a person want to play StarCraft? What makes a person want to watch other people play StarCraft? And how do you get those people to stick with it for the long haul? Crowds gather to watch professional gamers compete at the MLG Winter Championships in Columbus this year. There's no one answer, though players like Destiny have offered theories. One fundamental issue, according to people who follow the scene, is that a lot of pro players are living in the past. They miss the days of 1998's StarCraft: Brood War, for better or for worse, and they won't adapt to StarCraft's newest iteration. 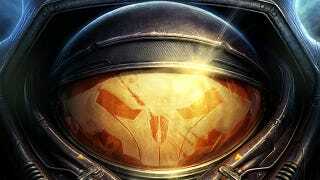 "Several current pro-StarCraft II players still value Brood War as the best StarCraft game, and the best game ever made, and hold reservations against StarCraft II," said Rod "Slasher" Breslau, a longtime eSports expert and lead eSports editor at GameSpot. Speaking to me in an e-mail, Breslau broke down some pro players' gripes. "There are some legitimate complaints here—StarCraft II battles end quickly and there aren't as many back-and-forth battles as Brood War (which is the core of great real-time-strategy gameplay and spectator appeal)," he said. "The more pressing matter, is how little dynamically Heart of the Swarm is—not even close to the change Brood War brought to StarCraft 1. Blizzard has already cut one unit completely, entirely changed others, and overall most of the units do not have the creativity or affect on gameplay that you would expect from a Blizzard title. Nearly all the pros who have played Heart of the Swarm have major complaints, and/or have stopped streaming because they're just bored playing it—and the beta was just released." "I wouldn't say StarCraft II is in decline. In many ways the scene is stronger than ever." Indeed, excitement for StarCraft II's first expansion pack seems to have tapered down, although a quick glance at Battle.net shows thousands playing Heart of the Swarm, and it's never hard to find a match in the recently-released beta. Breslau agrees with Destiny's assertion that competitive games like Dota 2 and League of Legends are cutting into StarCraft's territory. He admits that audiences are growing—numbers for player video broadcasts have gone down, but he thinks that's more due to over-saturation than any sort of widespread malaise. And despite the drama that has entangled the StarCraft community for the past few weeks, not everyone agrees that SC2 is on its way out. Frank Lantz, head of the NYU Game Center and StarCraft columnist for Edge magazine, is rather optimistic about the future of Blizzard's competitive game. "I wouldn't say StarCraft II is in decline," Lantz told me. "In many ways the scene is stronger than ever. The tournaments are great, the casting gets better and better, and the international (non-Korean) audience is growing. The concern that people have stems from a comparison to the scope of the Korean StarCraft II scene to the Korean Brood War scene. In Korea, Brood War was enormous, and it looks like StarCraft II may never reach those same heights." In some ways, the first StarCraft (with add-on Brood War) is a victim of its own success. The game was out for a whopping 12 years before its sequel hit store shelves, and for many players—particularly in Korea—no sequel could have ever lived up to an experience that took over more than a decade of their lives. When you've been playing nothing but StarCraft for 12 years, it's hard to move onto something else, no matter how good that something else is. So maybe that's the fundamental problem: StarCraft has already hit its peak. But Blizzard says they're still working on improving what they call StarCraft's "ecosystem." According to Blizzard's Sigaty, they're putting in a great deal of effort both to improve the game and improve the game as an eSport. Groups and clans system — We will very soon have a blog post detailing what this looks like and what the functionality will be. Global play — users will be able to jump between regional ladders they wish to play in. Unranked matchmaking — lets you have the benefits of skill-based matchmaking without the anxiety of seeing your ladder ranking move up and down. UI updates with improved stats tracking and more — see blog post here. Multiplayer resume from replay — this will not only act as a failsafe in terms of dropped connections for pro tournaments, but also acts as a failsafe in cases where LAN would not have helped (hardware failure, client crash, etc). Multiplayer replay viewing — this feature will allow you and friends to jump in and watch replays together over Battle.net. A new Leveling System, which rewards players with cool cosmetic content for participating in online matches. "As you might guess, we're putting a specific focus around features that will help give players more ways to enjoy online play," he said. "Unranked matchmaking and the leveling system are just a couple examples of how we're addressing online play that doesn't focus as heavily on the hyper competitive aspect of StarCraft." So those are some of their solutions to get casual audiences playing more, which could lead to casual audiences watching more, which would lead to bigger and better tournaments, more prize money, and more competition. But will it work? Will StarCraft II continue to grow? "I tend not to worry too much about this, because these things are volatile and hard to predict," NYU's Lantz said. "Who can explain pop culture super phenomena? Network effects, historical quirks, media politics, all these things are hard to account for. Maybe StarCraft becoming less popular in Korea is a necessary evolution for it becoming more popular globally; maybe it's right where it needs to be to continue evolving as a sustainable, long-term eSport. Who knows? "There may be things Blizzard should have done differently, or could be doing differently now, and it's good that critiques like this Reddit piece exist, but I wouldn't over-react."